Figures: Examples of lignotubers for Mediterranean basin species. A Juniperus oxycedrus (resprouting after fire). B Viburnum tinus. C Arbutus unedo. 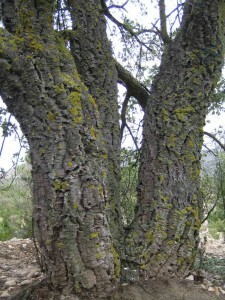 D Quercus suber (not a clear basal swelling). 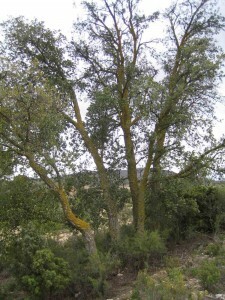 E Olea europaea. 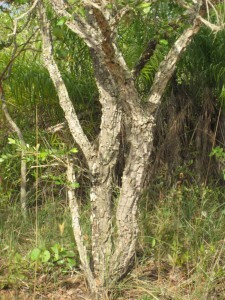 F Phillyrea angustifolia (adult), G Phillyrea angustifolia (saplings). In many species (e.g., V. tinus, A. unedo and P. angustifolia) the lignotuber is only evident after excavating the root-shoot transition zone. 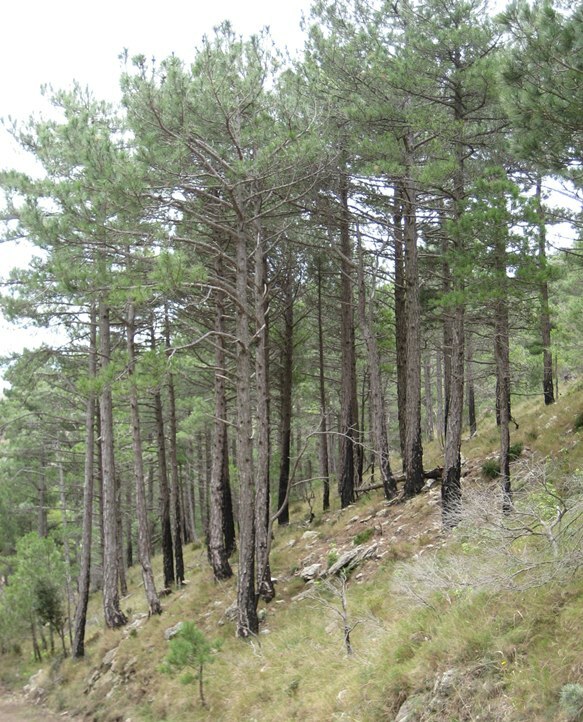 Many pines species are fire adapted. 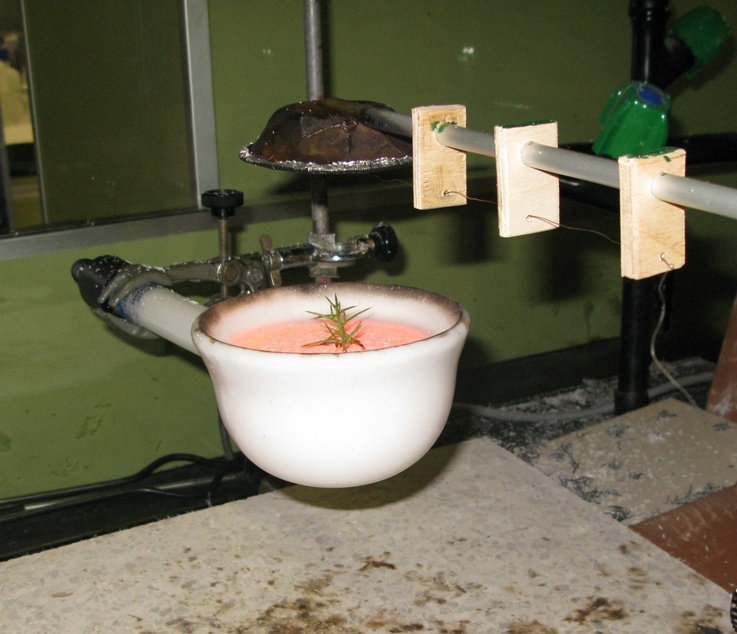 In 1998, JE Keeley & PH Zedler provided a seminal paper showing the various fire adaptations of pines, and the relation between the different adaptations and the different fire regimes . 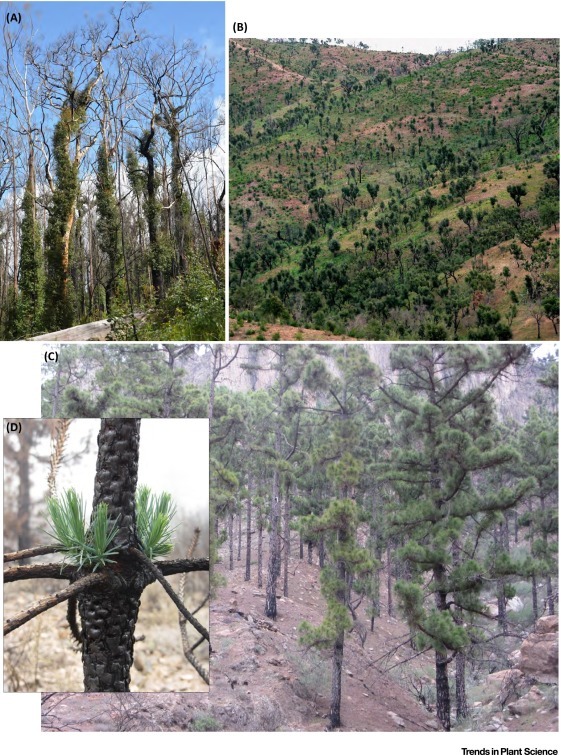 Recent phylogenetic [2,3] and conceptual [4,5] advances in fire ecology have allowed to better understand the evolutionary role of fire in plants, and specifically in pines [2-6]. 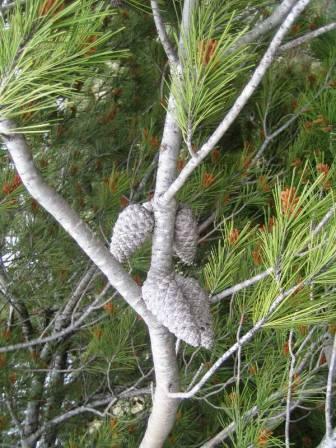 In a recent paper, JE Keeley provides a new review on the ecology and evolution of pine life histories . Pinus originated ~150 Ma in the mid-Mesozoic Era and radiated across the northern continent of Laurasia during the Cretaceous period, when fire activity was high . 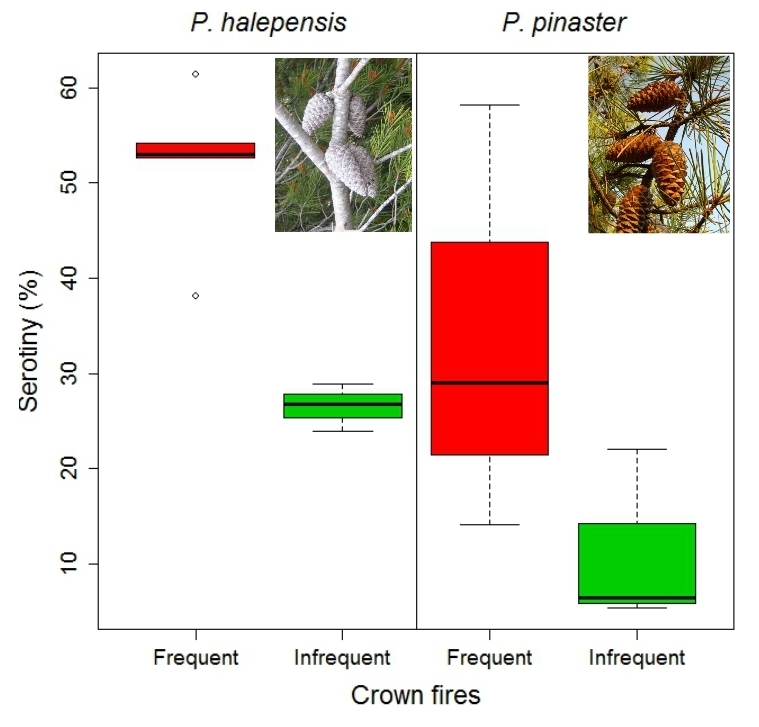 Pines have followed two evolutionary strategies interpreted as responses to competition by the newly emerging angiosperms: 1) The Strobus lineage mostly has radiated into stressful sites of low nutrient soils and extremes in cold or heat; ans 2) The Pinus (subgenus) lineage has radiated into fire-prone landscapes with diverse fire regimes. Based on the life history traits associated to fire, JE Keeley define four pine syndromes : fire-avoiders (no fire-adapted; with thin bark), fire-toleraters (adapted to surface fires; with thick bark and self-pruning of dead branches; tall pines), fire-embracers (adapted to crown fires; with retention of dead branches and serotinous cones), and fire-refugia (with marked metapopulation dynamics) strategies. 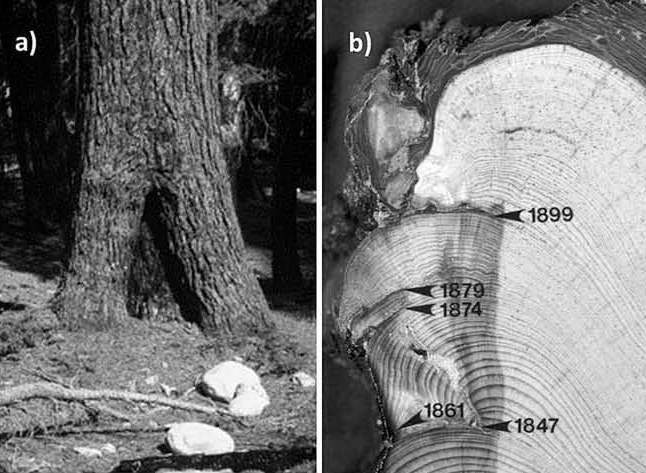 Figure: Basal fire scar (a) and cross-section of pine with previous fires delineated (b) demonstrating fire survival after recurrent fires. Photos by JE Keeley from . Keeley J.E. & Zedler P.H. 1998. 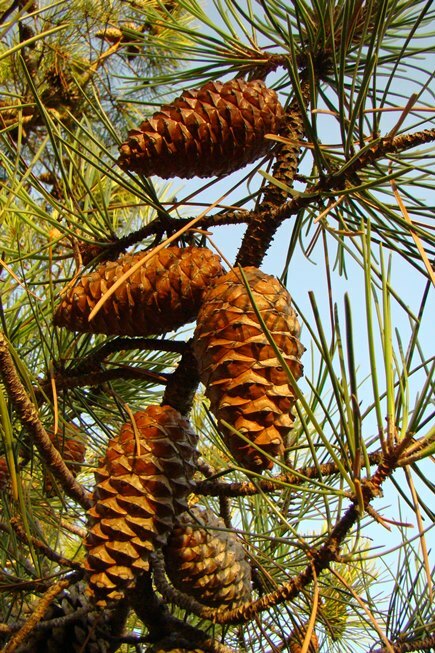 Evolution of life histories in Pinus. In: Ecology and biogeography of Pinus (ed. Richardson DM). Cambridge University Press Cambridge (UK), pp. 219-250. Considering fire as evolutionary pressure driving evolution has traditional been neglected, and only now is becoming a topic of research [1-3]. The role of fire as an evolutionary pressure can be elucidated using both macro- and micro-evolutionary approaches. While the micro-evolutionary approach searches for trait divergences in different current selective environments, the macro-evolutionary approach uses dated phylogenies to trace the evolution of traits over long time scales (My). In a previous post  we mentioned an example of the macro-evolutionary approach. 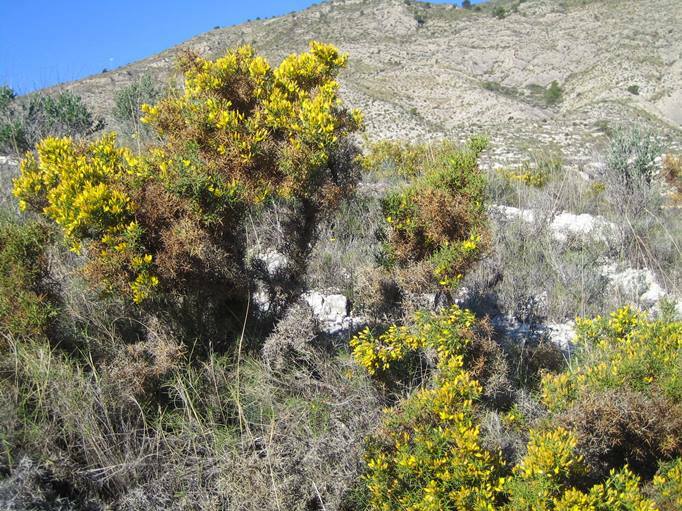 In a recent paper, S. Goméz-Gonzalez and collaborators  provided, for the first time, a clear example of the micro-evolutionary approach to demonstrate natural selection driven by fire. 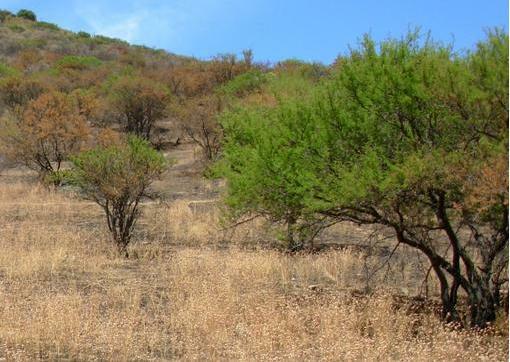 They presented compelling evidence that the novel anthropogenic fires affecting the Chilean matorral shaped seed traits on a native annual plants (Helenium aromaticum). 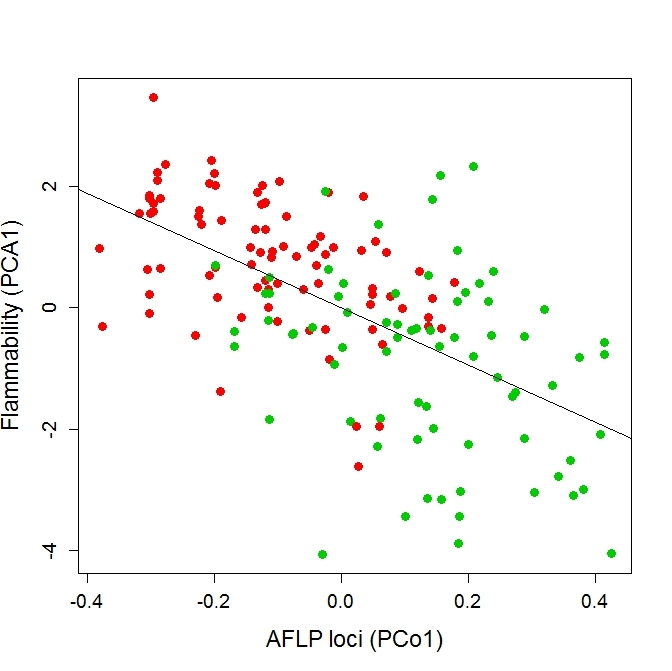 By studying populations growing on sites with different recent fire histories, they showed that increasing fire frequency selects for increasing seed pubescence (directional selection): a trait that was proven to be heritable and that increased fitness under experimental heat treatments. This paper was also presented in a special session at the MEDECOS Conference . There are still people believing that wildfires are a catastrophic disturbance to ecosystems, and that are the product of humans. 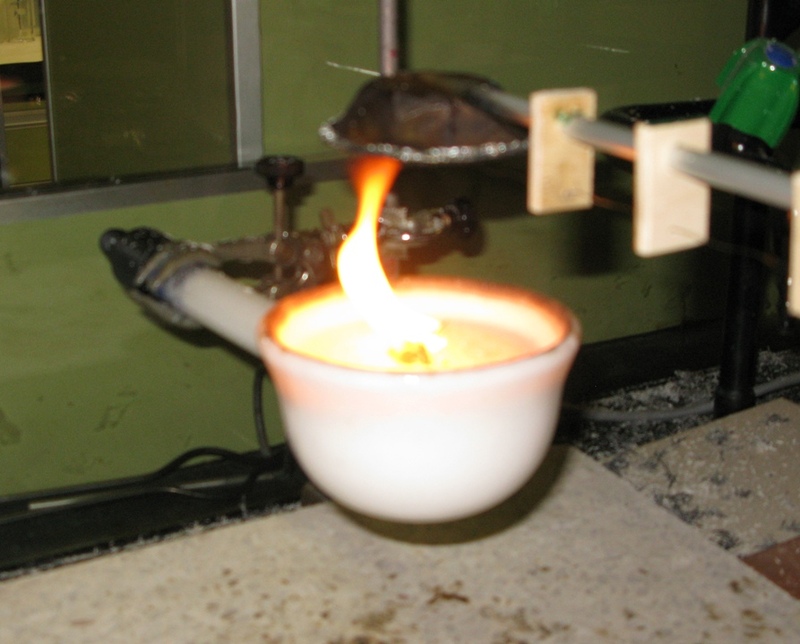 However there is an increasing evidence from paleoecological records and from phylogenetic analyzes suggesting that fire is a very old process in the history of life, dating back to the origin of land plants [1, 2, 3]. 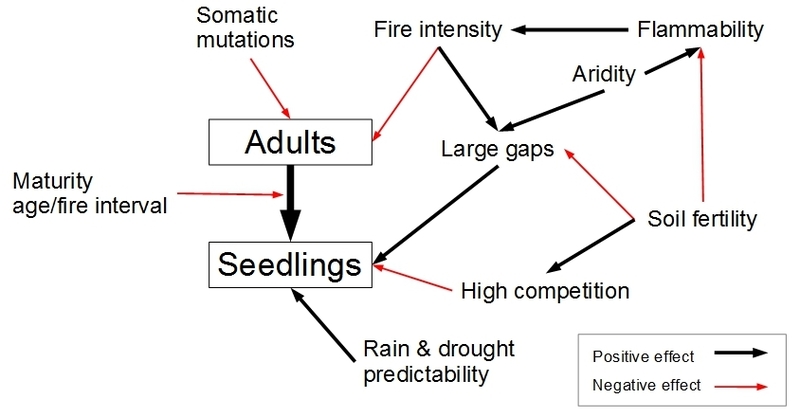 As a consequence many plants have evolved in the presence of recurrent wildfires and acquired adaptive traits to persist and reproduce in those conditions. 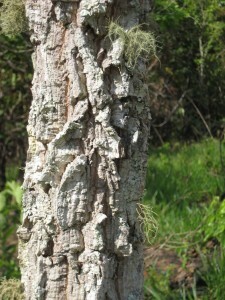 Examples of these traits are the resprouting ability, germination by head or smoke, and serotiny; all of these confer fitness advantage in fire-prone ecosystems. However, plants are not adapted to fire per se but to fire regimes. Species that exhibit traits adaptive under a particular fire regime can be threatened when that regime changes, like the recent human-induced fire regime changes (e.g., increasing or decreasing fire frequency or severity in relation to the historic fire regime). In a recent paper, Keeley et al. proposed five scenarios of change in a trait state (Figure 1). An adaptive trait might not change through time regardless of the selective environment (scenarios 1 and 2 in Figure 1). Such traits cannot be described as adaptations to the current selective (fire-prone) environment as there is no evidence that natural selection shaped this trait. 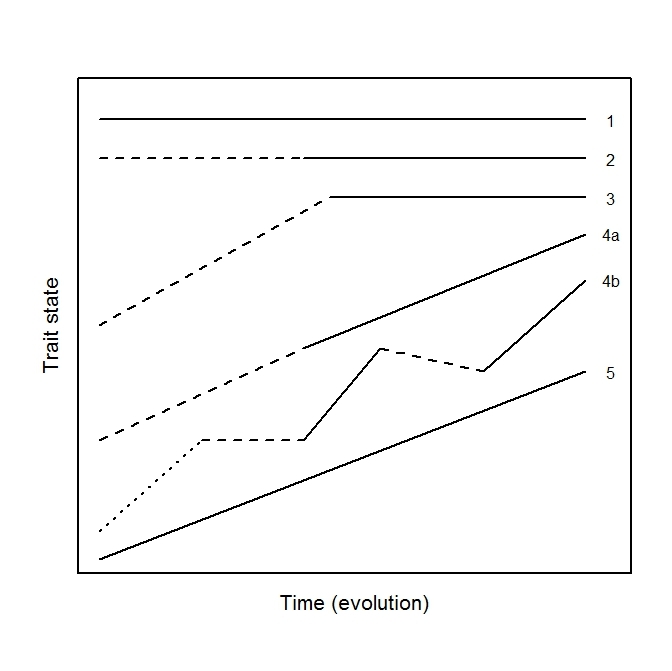 Other adaptive traits that were shaped by natural selection under a previous evolutionary pressure, but not under the current (fire-prone) environment (scenario 3 in Figure 1) would be adaptations to previous evolutionary pressures and exaptations to the current (fire) environment [4, 5]. 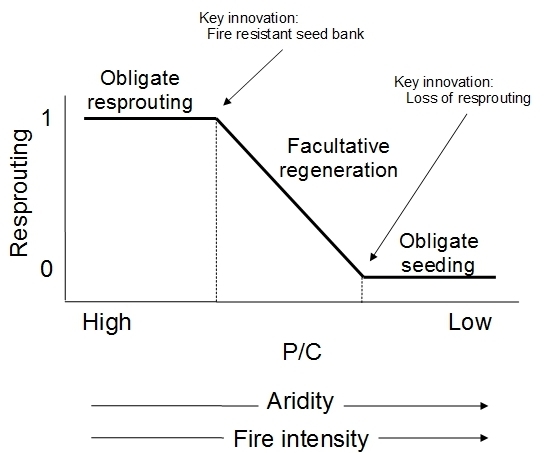 Fire adaptations are those adaptive traits in which natural selection is acting under the current fire-prone environment to shape the trait, and it is independent of how long this pressure has been present (scenarios 4 and 5 in Figure 1). For instance, there are clear examples of lineages that resprout after fire, but their origin and evolution is hardly liked to fire. 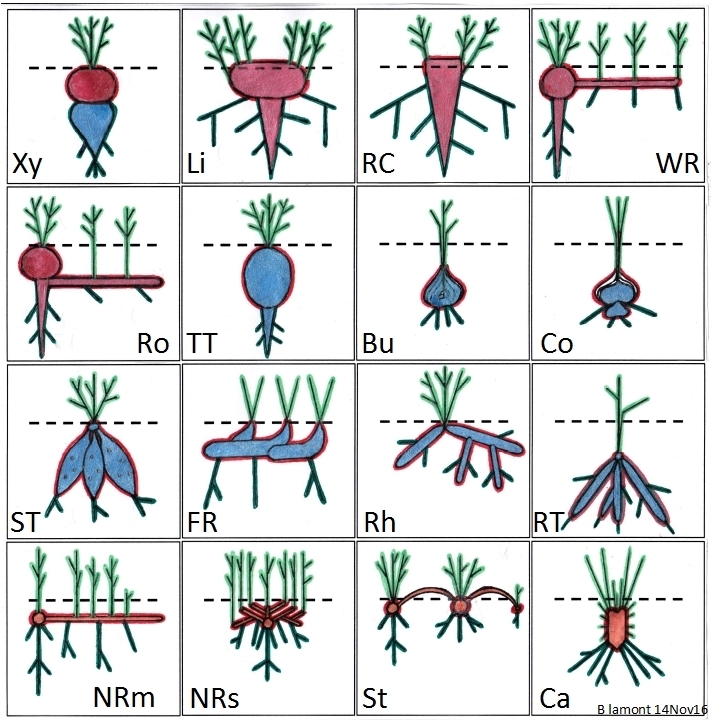 However the most plausible scenario of lineages that resprouting from lignotubers is the number 4 in Fig. 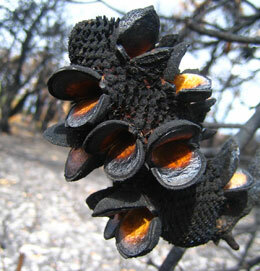 1 (old origin of resprouting reshaped by current recurrent fires). 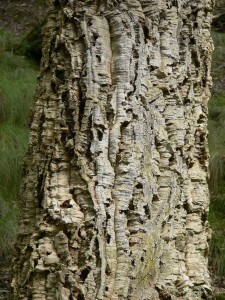 Similarly serotiny and thick barks are traits that has been reshaped by natural selection under the framework of recurrent fires and thus they also fit under the concept of adaptation to fire (scenario 4 or 5 in Fig. 1). Pausas J.G. 2011. Australia born to burn – phylogenetic evidences. URL: jgpausas.blogs.uv.es, 18/03/2011. Pausas J.G. 2010. 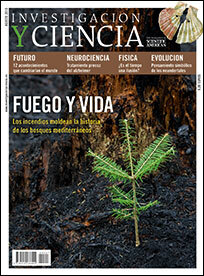 Fire and evolution: Cretaceous fires and the spread of angiosperms. URL: jgpausas.blogs.uv.es, 9/Sep/2010. Endler J.A. (1986) Natural selection in the wild. Princeton University Press. 4) and 5) Trait shaped during the whole period; natural selection acts during the whole period even if the dominant evolutionary pressure changed (adaptation to fire). From Keeley et al. (2011, ). Recently we have highlighted the importance of wildfires in the evolution of plants in many ecosystems worldwide [1 | previous post]. In this line, a recent paper by Bond & Scott suggest that the spread of angiosperms in the Cretaceous (145-65 Ma) was promoted by the development of novel fire regimes linked to the evolution of novel, highly productive (and flammable) plants. They suggest that Creatceous angiosperms were similar to current ruderal (weedy) species, i.e., short, with high maximum photosynthetic rates, rapid reproduction and small seeds. This fast-growing angiosperms would not only compete with regenerating gymnosperms, but would also rapidly accumulate fuel. 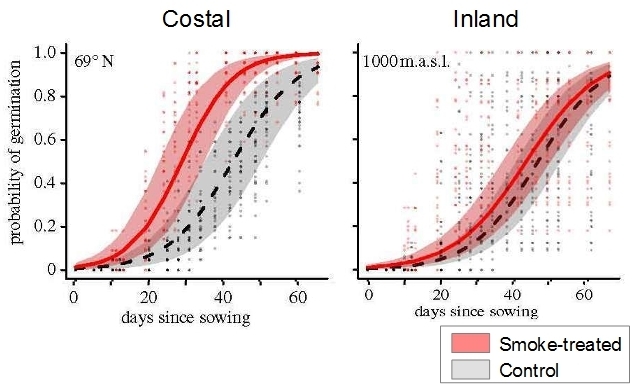 More fuel would promote more frequent fires, which would help to maintain open habitats in which rapid growth traits of angiosperms would be most favoured, promoting rapid fuel accumulation. The authors emphasize the similitude of this “angiosperm–fire cycle” with the grass fire-cycle that helped to spread C4 grasses in the Miocene (c. 8 Ma)  and with the grass fire-cycle replacing forests by invasive grasses in the modern world . This would also imply that forest was slow to develop until the Eocene, when fire activity dropped to very low levels. 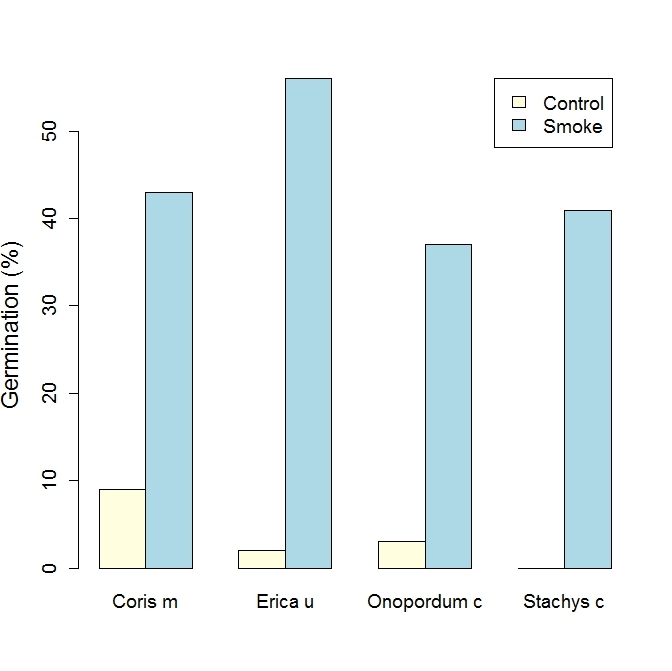 This hypothesis could also help to explain the ancient origin of some fire traits like resprouting and the abundance and phylogenetically widespread examples of species with smoke-stimulated germination [1, 5]. 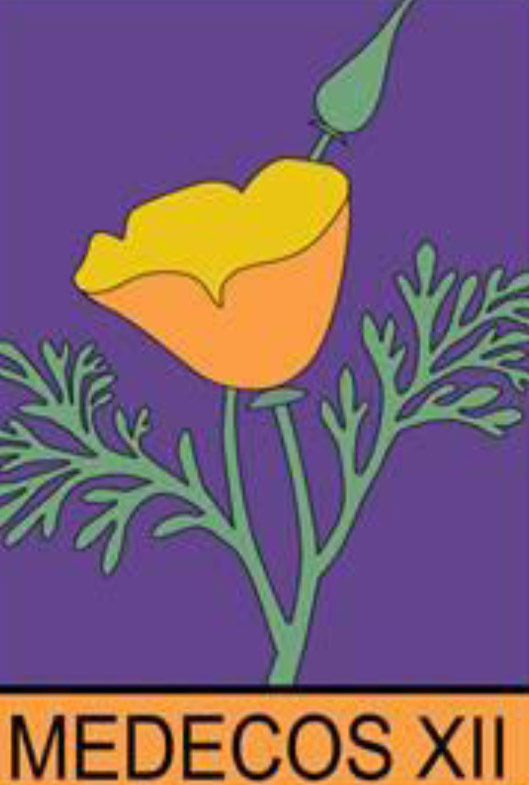 In conclusion I think this is a nice and stimulating contribution to the evolution of angiosperms. Keeley, J. E. and Rundel, P. W. 2005. Fire and the Miocene expansion of C4 grasslands. Ecol. Lett. 8: 1-8. D’Antonio, C. M. and Vitousek, P. M. 1992. 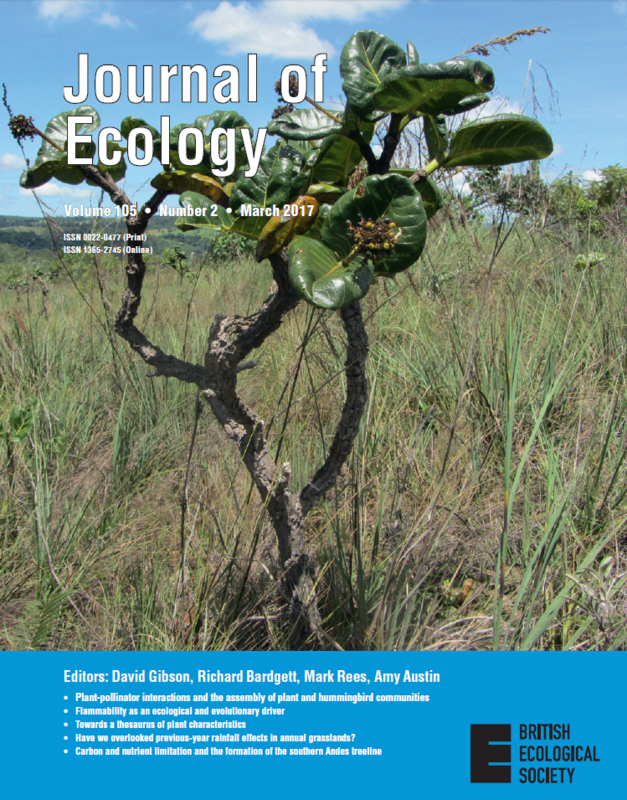 Biological invasions by exotic grasses, the grass/fire cycle and global change. Annu. Rev. Ecol. Syst. 23: 63-87. One key difference between animals and humans is the use of fire; in fact, during the evolution, fire made us humans. For instance, cooking implied higher food energy, as well as an increased the diversity of available food (detoxifying effects of heating, etc…). Furthermore, cooking implied a delay in food consumption, which required the development of social abilities for the distribution of tasks within the group (e.g., collection, accumulation, cooking, defense, even stealing). These factors are thought to have prompted the evolution of large brains and bodies, small teeth, modern limb proportions, and other human traits, including many social aspects of human-associated behavior. However, the moment in which humans started to use fire is still debated. It is often believed that the rise of Homo erectus from its more primitive ancestors was fueled by the ability use fire. Although the use and control of fire is a human trait, a recent study has demonstrated that chimpanzees have the ability to understand wildfires and predict their behavior (Pruetz & LaDuke 2010). 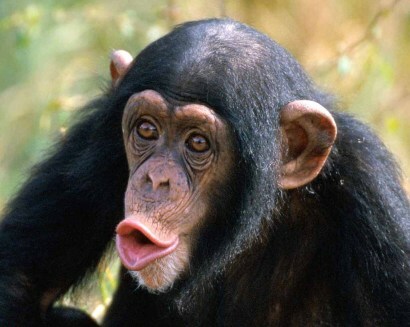 Chimps calmly observed wildfires around them, predict their behaviour and move accordantly without any stress or fear. 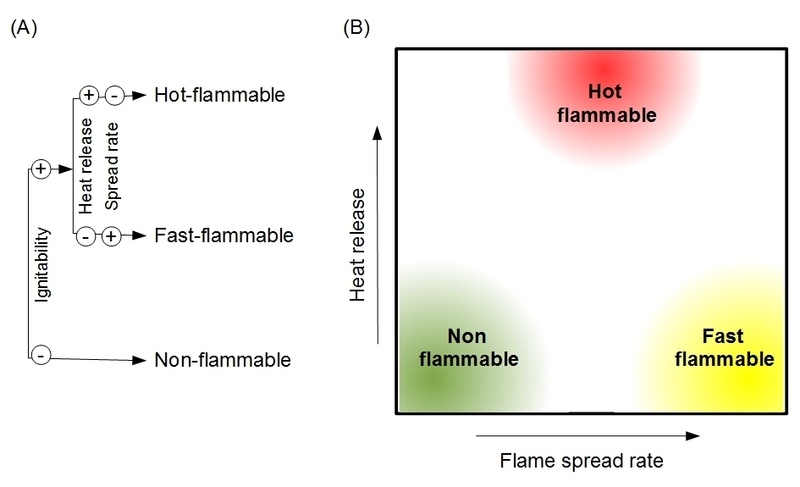 This suggest that the conceptualization of fire may be a old trait, in the hominids group. To what extent current humans are losing this trait is another debate, but we may be better off at managing our fire-prone landscapes by learning from chimps! Wrangham RW, Jones JH, Laden G, Pilbeam D, Conklin-Brittain NL. 1999. The raw and the stolen: Cooking and the ecology of human origins. Current Anthropol 40: 567–590. We recently proposed (Aug/2009) that “The spread of humans, perhaps concomitant with climatic changes, contributed to the mass disappearance of megafauna such as mammoths and other large herbivores (i.e., the Pleistocene-Holocene extinction); this extinction would also have resulted in fuel buildup and the consequent change in fire activity, as suggested by the contemporary effects of megaherbivores.” (Pausas & Keeley 2009; see also Flannery 1994). Today (20/Nov/2009), in a paper in Science, Gill et al. demonstrate this link between megafauna extinction and fire activity by studying the fossils spores of a coprophilous fungi (Sporormiella) from a lake sediments in Indiana, North America, together with charcoal and pollen from the same sediments (ca. 14,000 years of history). Sporormiella produced spores in the dung of large herbivores, and the amount of spores can be considered an index of the abundance (or biomass) of herbivores vertebrates. The authors demonstrate that the decline in megafauna is associated to an increased fire activity. This also make us to think about the idea of Pleistocene rewilding (Donland et al. 2005) for fuel control and fire reduction. These papers and other recent ones are putting fire ecology in the front-line of ecology as they demonstrate the strong influence of fire in shaping nature; they emphasize the importance of fire for understanding present, past and future ecosystems as well as global processes. For instance, Nevle & Bird (2008) recently demonstrated that the massive reduction of American natives by the European invasion of America, drastically reduced fire activity and the consequent increase in forest (carbon sequestration) contributed to the ca 2% global reduction in atmospheric CO2. Despite the importance of fire in the global context, they are still poorly represented in global models (Bowman et al. 2009). Bowman D.M.J.S. et al. (2009). Fire in the Earth System. Science, 324, 481-484. Flannery T. (1994). The Future Eaters: An Ecological History of the Australasian Lands and People. Reed Press, Port Melbourne, Australia. Gill JL et al. (2009). Pleistocene Megafaunal Collapse, Novel Plant Communities, and Enhanced Fire Regimes in North America. Science 326: 1100-1103. Nevle R.J. & Bird D.K. (2008). Effects of syn-pandemic fire reduction and reforestation in the tropical Americas on atmospheric CO2 during European conquest. Palaeogeography, Palaeoclimatology, Palaeoecology 264: 25-38.